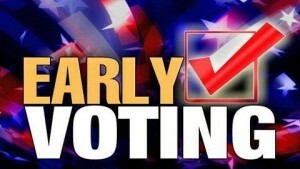 Early voting in Maryland is set to begin on Thursday, April 14 and last until Thursday, April 21. On any day between April 14 to April 21, from 10:00 a.m. to 8:00 p.m., you can cast your ballot at one of the locations listed below. If your county has more than one early voting site, you may vote at any location during early voting.